Use these easy natural cleaning recipes for a home that’s free of germs, grime and toxic chemicals. Nearly everyone has heard about the virtues of common items such as baking soda and vinegar for scouring and absorbing grease. Adding herbal essential oils enhances a formula’s cleaning value and leaves behind a soothing, natural scent. It’s not just an advertising gimmick that many commercial products contain citrus oils such as lemon or lime—they are natural degreasers and have antimicrobial properties. Using natural products instead of chemical-laden commercial ones makes household tasks almost a pleasure to tackle. I know it’s hard to get excited about cleaning a bathroom, but when you realize that the surfaces are germ- and toxin-free, and the soothing aroma of cedar or lavender lingers, you won’t be able to suppress a smile of satisfaction. And that enthusiasm is contagious—even the kids will want to pitch in! Making your own natural cleaning recipes is not time-consuming or expensive. In fact, quite the opposite is true. It only takes a minute or two to fill a spray bottle with vinegar and water and add a few drops of essential oil. Bingo—instant glass and appliance cleaner! Having done that, there’s one less aisle to visit in the supermarket. The majority of commercial cleaners are quite expensive. A typical spray or foam cleanser for the bathroom, for instance, can cost $4 or more. A natural alternative, on the other hand, will cost pennies to make. You can buy essential oils for an average of $3 to $5 per half fluid ounce. Because you only use 5 to 30 drops of the oil (depending on the formula), that half-ounce goes a long way. Other all-natural ingredients such as vinegar, baking soda, water and castile soap are also inexpensive. You will marvel at the amount of uncluttered space that becomes available in the area where you store cleaning supplies. According to Debra Lynn Dadd, author of Toxic Free, the average kitchen is home to 30 or more commercial products, the laundry room six! Many of the herbal formulas you will be making are multipurpose, so the number of cleaning products you store will be greatly reduced—an immense help to those of us with only a little bit of space under the sink or in a closet. Baking soda: Otherwise known as bicarbonate of soda, you can find this ingredient in any supermarket, usually in the baking supplies aisle. Citrus seed extract: Usually made from grapefruit seed, this natural preservative is a powerful antimicrobial agent. Often sold as grapefruit seed extract, it is available at health-food stores or by mail order. 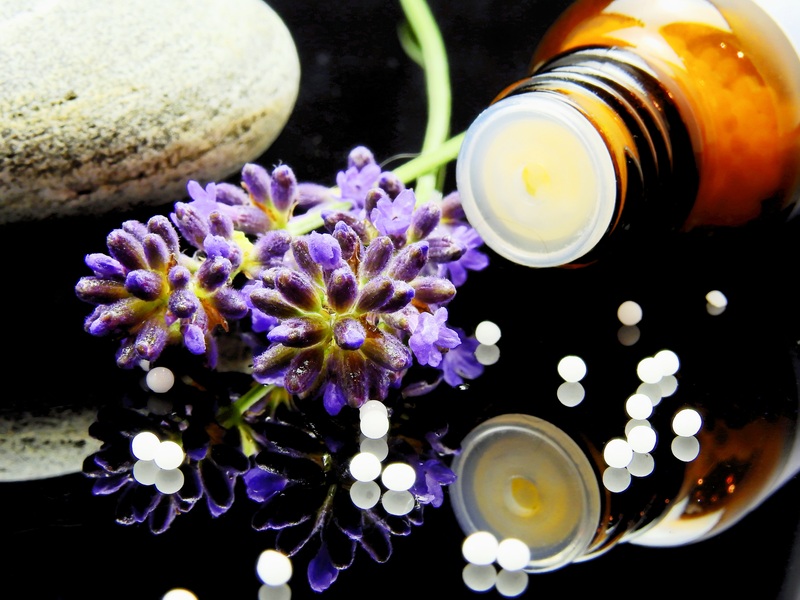 Essential oils: Read about selecting essential oils in “Essential Oils 101” at the end of this article. These natural cleaning recipes include lime; sweet orange; rosemary, eucalyptus or tea tree; thyme; lemon or lemongrass; and peppermint or citronella; all are available via health-food stores or mail order. Lemon juice: Lemon juice is readily available in supermarkets. Liquid castile soap: An olive oil-based soap, liquid castile is available at health-food stores, some supermarkets or via mail order. Salt: Choose kosher salt for scrubbing; available in supermarkets. Washing soda: Some stores stock washing soda—also known as sodium carbonate or soda ash—in the laundry products aisle. If yours doesn’t, order it online. Dishwashing liquids have been designed to lure the consumer with their stimulating lemony scent. Their aromatic choice is more than an advertising gimmick; citrus oils are natural degreasers. It’s the rest of the ingredients in these harsh detergents that we are better off without. Fill a clean 22-ounce squirt bottle with castile soap (diluted according to directions if using concentrate). Add the essential oils and extract. Shake the bottle before each use. Add 1 to 2 tablespoons of liquid to dishwater and wash as usual. This formula is effortless to make, and because it stores well it can be doubled or made in bulk. Combine all ingredients and store in a sealed container. To use, add about 2 tablespoons to the soap compartment of your dishwasher. If you find your glasses are getting a residue of buildup, then reduce to 1 1/2 tablespoons. For stubborn stains, allow this formula to rest on the stain for several minutes, then scrub and rinse with vinegar and hot water. Combine washing soda, baking soda and essential oil in an airtight container and shake well to blend. Sprinkle a small amount into the sink and scrub with a damp sponge. Rinse the sink with vinegar, then with hot water. This formula is great for ovens that have been neglected for a while. If you have a lot of baked-on grease or food splatters, you may want to use fine steel wool to scrub those areas. Use a bit more salt if necessary. Combine salt, washing soda and baking soda in a glass bowl. Add just enough water to make a paste. Remove oven racks and preheat oven to 250 degrees for 15 minutes, then turn off the oven and leave the door open. Carefully spread the paste on oven walls with a sponge or cloth and allow to set for 20 to 30 minutes. Combine the vinegar and essential oils in a spray bottle and shake well. Spray the oven walls and wipe clean. Rinse well. This antibacterial spray cleaner is specially formulated for cleaning the general surface area of the toilet, and under and behind the seat. Combine all ingredients in a spray bottle and shake well. Spray on toilet surfaces and wipe clean with damp cloth or sponge. This formula is great for heavy-traffic areas. Mix all ingredients in a blender. Rub foam into soiled areas with a damp sponge. Let dry thoroughly, then vacuum. Instead of using paper towels to wipe spills or clean countertops, store multiple squares of cotton cloth in a container filled with a mixture of 1 cup water, 1 ounce liquid castile soap and 6 to 8 drops of your favorite essential oil. The cloths, made from old T-shirts or pajamas, can be washed and returned to the jar for reuse. Cap jar between uses. Make sure you’re buying pure, undiluted essential oil. Although there are grade differences among pure essential oils, these differences pertain to the quality of the fragrance—for the purpose of household cleaning, they are insignificant. Essential oils should come in either blue or brown glass bottles. 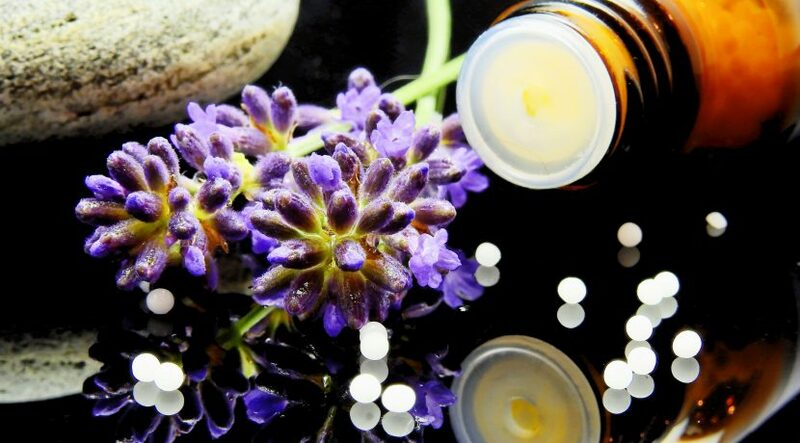 If stored away from heat and direct light, some essential oils retain their potency indefinitely. Citrus oils are an exception; they usually last for about one year. Use only the amount of oil called for in a recipe. The oils are highly concentrated, and adding more won’t make a superstrong formula; instead, it can increase the risk of skin irritation. Always practice caution when handling essential oils (wearing protective gloves is recommended), and never allow children to handle pure oils. Take special care with food-related oils; citrus oil, for example, could offer a temptation to a young child who may mistake a finished product as something to eat or drink. Exercise the same caution with herbal cleaning formulations as you would with any commercial cleaner, and keep them away from pets and children. Even the cleanest of kitchens are susceptible to unwanted visitors. Give bugs the boot with these quick remedies. Ants: Wipe cabinets with a damp sponge and 6 to 8 drops peppermint or citronella essential oil. Then place 3 to 5 drops of the same oil on windowsills, doorway cracks and in the corners of cabinets under the kitchen sink. Centipedes, earwigs, silverfish: Place several drops of peppermint, eucalyptus or citronella essential oil in areas that collect moisture such as basements, garages and cabinets that house plumbing fixtures. Cockroaches: Sprinkle a mixture of washing soda and sugar in dark areas where roaches like to hide, but avoid this method if you have children or pets. It may be best to consult an exterminator. Mice: Place sprigs of fresh peppermint between pantry items in your cabinets, or make a solution of 2 cups water and 3 teaspoons of peppermint essential oil and spray it wherever you find mouse droppings. Mites and weevils: Place a few whole nutmegs in flour containers. Other insects: Place loose bay leaves in kitchen cabinets. • For very greasy dishes, add 1/2 cup vinegar or lemon juice to dishwater. • To loosen baked-on food from pots and pans, immediately add some baking soda to the dirty dish and wait 15 minutes before cleaning. If the pot or pan has cooled before you’ve had a chance to add baking soda, boil a solution of 1 cup water, 5 drops cedar or other essential oil, and 3 tablespoons baking soda directly in the pot or pan. Allow mixture to stand until food can be scraped off easily. All rights reserved to the initial publisher for mother earth living.